New website has Titchfield Dental Health smiling! 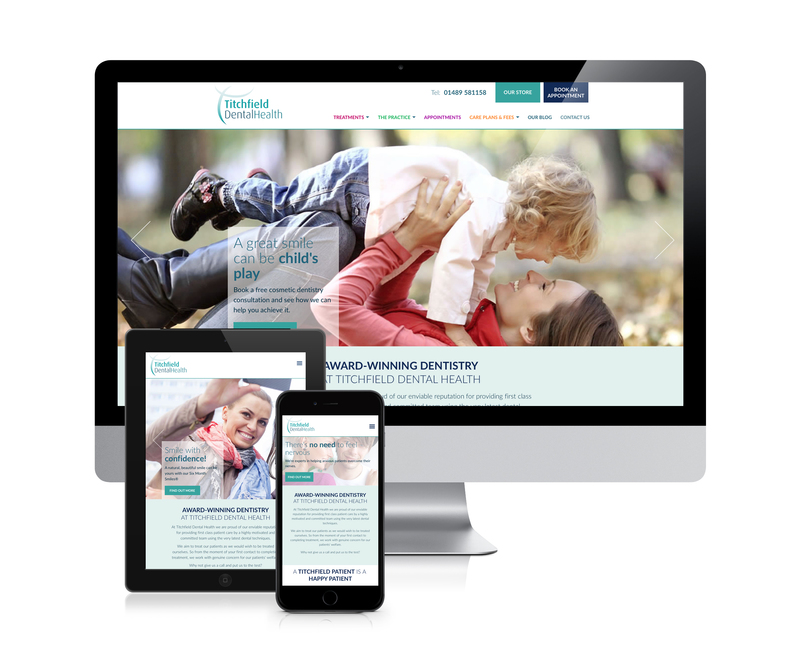 bandv have just launched a brand new website for Titchfield Dental Health which has brought a fresh new look to their online presence. Designed to be fully reponsive, making it compatible with desktop computers, tablets and mobiles, the new site offers a wealth of information for existing and prospective Titchfield clients. Also included is an online store which carries a wide range of dental care products. The overall presentation of the site - both the style and content - is designed to be professional, clean and fresh, while also remaining friendly and approachable, perfectly reflecting the ethos of the Practice itself. The site has been built with a comprehensive and easy to use content management system, allowing Practice staff to update and maintain it in-house, with bandv on hand for any support issues and larger updates. And they seem pretty pleased with their new site! Clare Chavasse, Practice owner and dentist, sums it up quite simply: "The website is fab! Lots of good comments!". Her colleague, Jamie Durrant-Fellows is even more succinct: "The new website looks amazing". Could we ask for better praise? We think not! If your website could do with a good clean and polish, contact bandv for a free consultation and let's see if we can have you smiling too.